It is a pleasure to meet you. I’m Shigeoka. It has been a month since I started working at Ichiroya. I'm still nervous while I'm working here because it has been a long time since I left my last job for raising my sons. Moreover, I don’t know much about kimono, and I’m not good at English. This is the first time to use English in 20 years. I just studied basics when I was a student. Therefore, I am extremely thankful that Ichiroya accepted me. This job is certainly challenging for me, but it is very interesting at the same time. It is really fun that I am able to learn various things though work. By the way, in Japan, students, including my sons, were in spring break until recently. 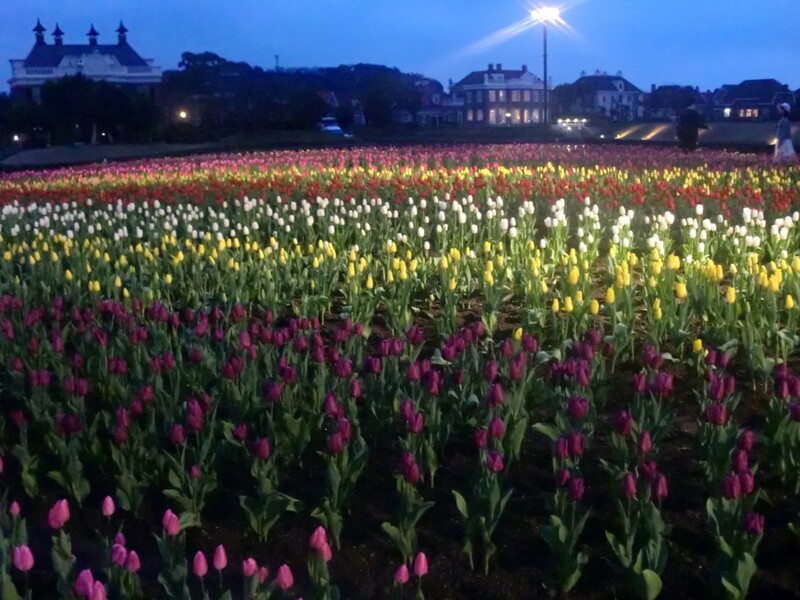 It was a good time to go on a family trip to Huis Ten Bosch in Nagasaki. 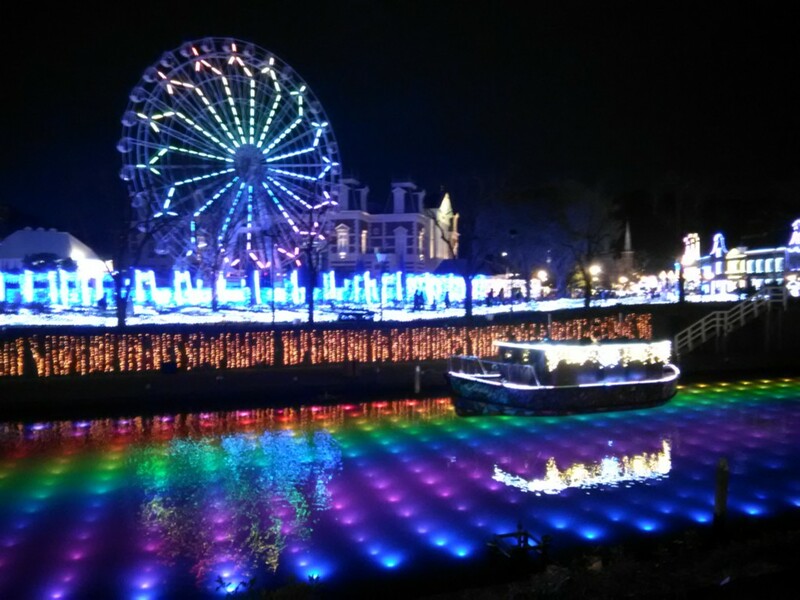 Huis Ten Bosch is a theme park of 17th century Dutch. 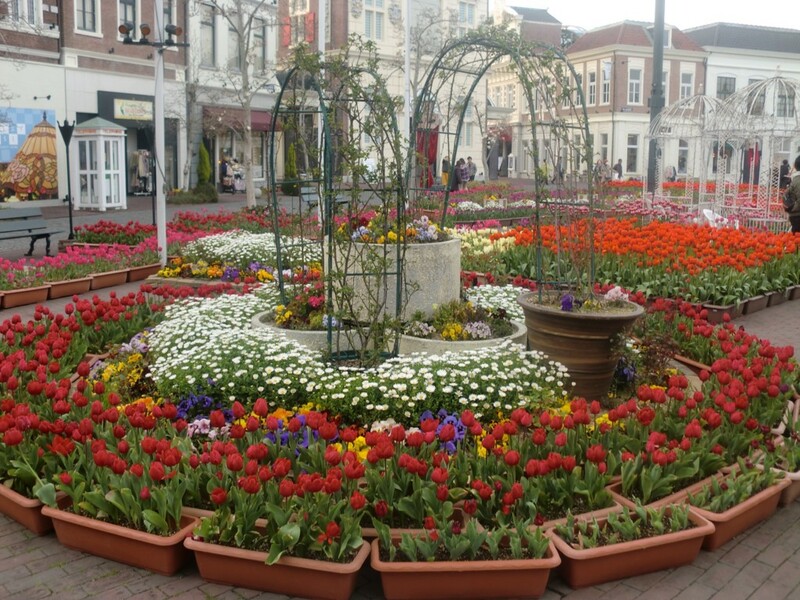 There are old Dutch towns, attractions, hotels, museums, restaurants, souvenir shops and so on. It is known for its Flower Festival and illuminations. When we visited there, 1 million tulips were in full bloom. It was not so cold in the night. 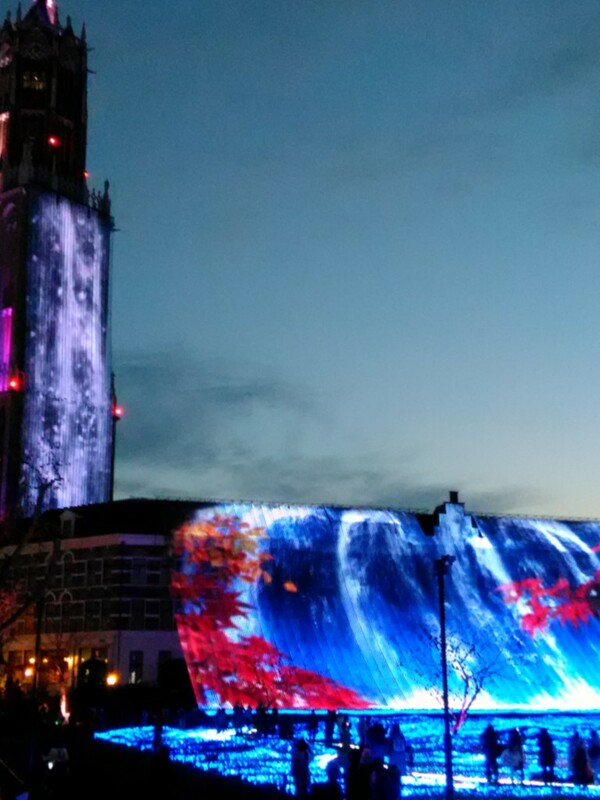 So that, we were able to see the various illuminations and the projection mappings comfortably. 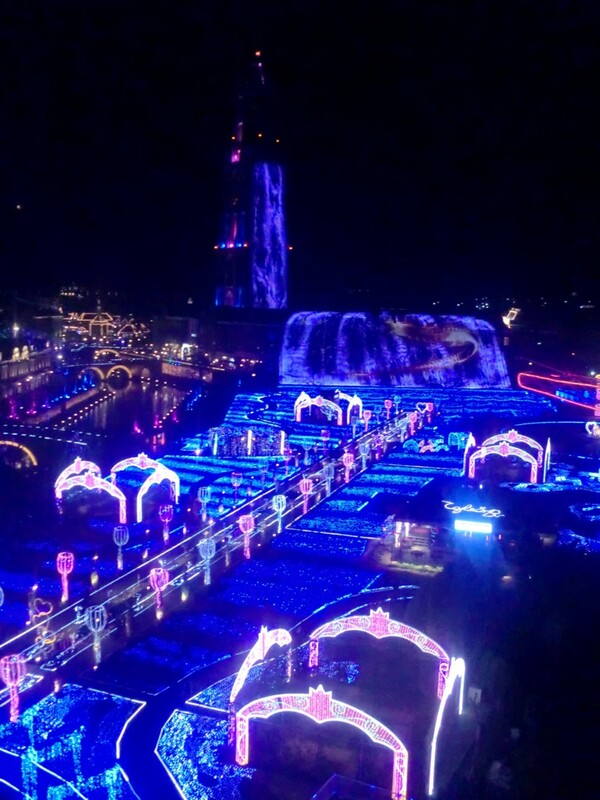 The view that called "The kingdom of light" from the Ferris Wheel was very fantastic and beautiful. We had a wonderful time. So my sons wanted to stay there, and play around more. Then, where shall we go summer vacation? Tulip used to be one of the popular patterns of kimono. Let me show you some items with tulip design. our original obi inspired by the design. There are more obi with other colors and also spring motif. These obi including the above obi is available at Ichiroya.